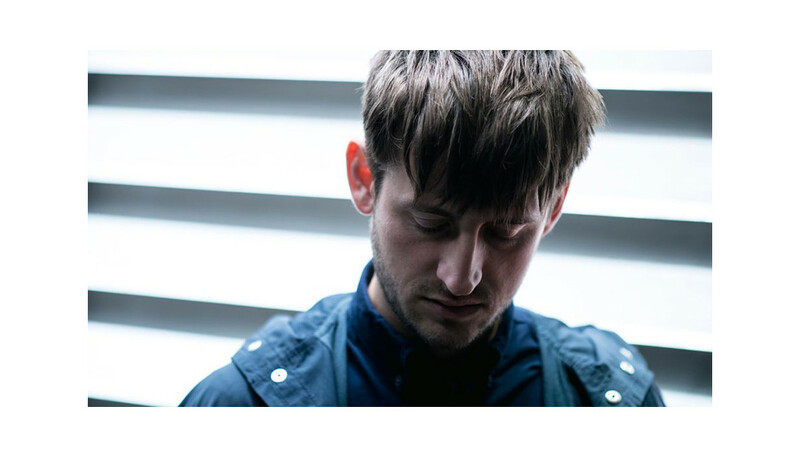 For the past few years, Berkshire-born, London-based producer Oli Bayston has preferred to stay behind the scenes, working on records for the likes of Lianne La Havas, Rose Elinor Dougal and The Bohicas. That’s all set to change with the release of his first full-length solo release. Here he explains how Krautrock, post-punk and techno all inspired his eponymous debut as Boxed In. Hello Olly, where are you today? I’m at home right now, and I will be heading to my recording studio down the road later. I’m producing an album for Petite Noir, in and around releasing my own album, which could prove quite difficult. But I’m making it work somehow. Prior to Boxed In and your production work, you came to prominence in a band called Keith. Were you in bands prior to that? No, Keith was the first band I was ever in. I was never even in a band when I was a teenager, growing up in Berkshire, which was a bit of a shame, really. I moved to Manchester to go to uni, and then lived up there for seven or eight years and joined Keith. When the band split, you moved to London to be Dan Carey’s studio engineer/assistant. How did you meet Dan? Dan heard and liked the first Keith EP – which was produced by James Ford – so was introduced to us by our manager at the time. We recorded a single with him for the first album, and then he ended up producing the second, and final, Keith album. Dan and I became best friends as a result of that process, and we’ve been close working partners ever since. By the end of the second Keith record, I just felt it was important for me to spread my wings a bit, and not just confine myself to just playing 12 songs continually on tour. As much as I enjoyed being in a band, I wanted musical variety on a day-to-day basis, so I came down to London took an assistant role with Dan. I did lots of work with him, while setting up my own studio in East London, which I’ve now been operating from for the last two or three years. Did you have much studio experience prior to working with Dan? Aside from the demos I recorded for Keith, not really, no; I learned on the job. I’d always intended to become a producer, but I thought it was just a rite of passage to be in a band before focusing on production. I guess it’s come full circle, because I’m now ready to spend the majority of my time focusing on Boxed In. When and where were the roots for Boxed In laid? I guess it was when I moved to London, and started using electronic sounds. I wrote almost an entire album of demos in a week and was really excited about continuing it further. But actually, we decided to record this album with live instrumentation, trying to emulate the electronic sounds. What was the goal for the album, sonically? The main thing was that I was attempting restraint. Towards the end of Keith, we were trying so hard to get bombastic vocal takes and big choruses, but the whole thing felt a little bit contrived. I felt that if I could write strong enough songs, then they wouldn’t require such a heavy vocal delivery, and I could use a minimal production approach. For the first time, I’ve actually ended up being really happy with my own music. I’ve always found it very difficult to actually accept what I’ve made but, in terms of production, I like how every sound has its place on this record. No, it’s produced by Dan Carey. He offered, and because he’s an amazing producer it was too good an opportunity to pass-up. Obviously, I had a big part to play in the studio, but it would have probably taken me a lot longer to do it on my own, because it was so close to my heart. Sonically, it’s a big departure from your previous work, drawing heavily on Krautrock and dance music. Are they discoveries you’ve made post-Keith? The funny thing is, in Keith, three out of the four of us loved all that stuff. We only really went out to deep house and techno nights, and yet we sounded like an indie band. Although I don’t deny that the Boxed In album does probably sound like an indie record, we’re really an electronic band using live instruments. For that reason, it’s a lot closer to the music I’d usually listen to on a daily basis. I mean, I became a fan of Krautrock back when I was in my early 20s. I guess there are a couple of tracks that are inspired by the part of the post-punk scene that was heavily influenced by electronic music; bands like New Order. Funnily enough though, I’m probably a bigger fan of Joy Division than I am New Order. Is the fact you’re now able to incorporate those influences down to having complete creative control? I mean, it’s essentially a solo record, but the drummer and the bass player, Liam and Mark (Mark, who was actually the guitarist in Keith), did play on the entire record. The difference is that I’d written all the drum beats and bass lines already. So I guess in that respect it allowed the record to be more focused because it wasn’t a democracy. Sometimes it can help to cross-pollinate people’s ideas, but sometimes it can also make things more confused. For the benefit for anyone yet to hear the album, what can they expect from the record? Pop songs that have been recorded and produced in a restrained way, so there’s a different space and energy. I think it’s an emotional, heartfelt album as well. Without meaning to, I ended up writing quite a personal record. But I’m not ashamed of that at all; I’m happy that it isn’t just a collection of words that don’t mean anything. So lyrically, you’re drawing on autobiographical themes? Yeah. I mean, obviously, I’m not the only person who has done that; I’d say the majority of people do it. I’m actually in awe of people who manage to create words purely based on fiction, because I tend to gravitate towards life experiences. But I think the skill comes in accurately reflecting those experiences without them seeming too overwhelmingly personal and alienating the person listening. So yeah, there are themes of indecision, regret, frustration and of benevolent love, I guess. There are a couple of straight-up love songs there, and also a couple of polar opposites, because the last couple of years I’ve been through a pretty tumultuous personal relationship. I wanted to document those ups and downs. Is there anything you’ve learned about yourself as an artist, making this record? I think I’ve learnt artistic willpower, and grown a work ethic and a creative ethic. I think that’s probably come from learning to be a producer, but the knock-on effect has been that it’s allowed me to focus my thoughts, and to actually use them to my advantage, more than I could do before. In previous years, I felt like I was slightly confused about who I was, and how I wanted to be represented as an artist, and I think creating this record in a focused way has changed that. 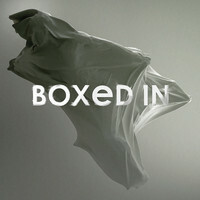 I’m really excited about creating the second Boxed In album, hopefully a few months after the first album is out. So you already have ideas for the next album? Yeah, I do. I’m just itching to record them now. More importantly, this year I’m aiming to get out on the road and play gigs. We’ve got this UK tour coming up – with the possibility of going to America – so we’ll just have to see what the future holds. But I’d definitely like to have a much quicker turnaround for the second album. Last year was really fun, and I had some absolutely amazing opportunities to produce great artists like Rose Elinor Dougall and The Bohicas, plus I was releasing Boxed In singles and doing some sporadic touring with bands like Teleman. But 2015 is much more about focusing on Boxed In.